PAT PILCHER gets to grips with Sony’s latest 4K HDR race sim by channeling his inner petrolhead. If there’s one thing Sony’s latest racer teaches, it’s that practice makes perfect, and patience is a virtue. After spending ages playing Gran Turismo Sport, I concluded that its endless races, time trials and challenges require plenty of practice, and getting your noggin around its detailed car handling also requires plenty of patience. A lot of so-called racing sims are little more than fairground rides compared to GT Sport. In many of these you floor it (or thumb it, if using a dual shock controller) and go hell for leather. Learning how to corner, to brake and what a good racing line looks like is what it takes to progress through GT Sport. That may sound frustrating to those used to instant gratification, but it is rewarding. Crossing the finish line first, you feel like you’ve earned the win. If you’re a PlayStation 4 pro and an HDR capable 4K TV owner, prepare for some peeper-pleasing super-hi-res HDR goodness. Yes, everything is rendered in jaw-dropping detail. So much so that I’d often find myself stopping the car and looking around. Further compounding things, I’d also make involuntary ‘ohh’ and ‘ahhh’ noises. It’s pretty, and the cars are well rendered and look super realistic. As nice as GT Sport is, there are some absences. Dynamic weather (e.g. random rain storms that can play havoc with cornering) isn’t there. Other minor details are also missing. I missed racing past crowds or seeing planes buzzing about in the sky. It also seems like there’s a dearth of cars. 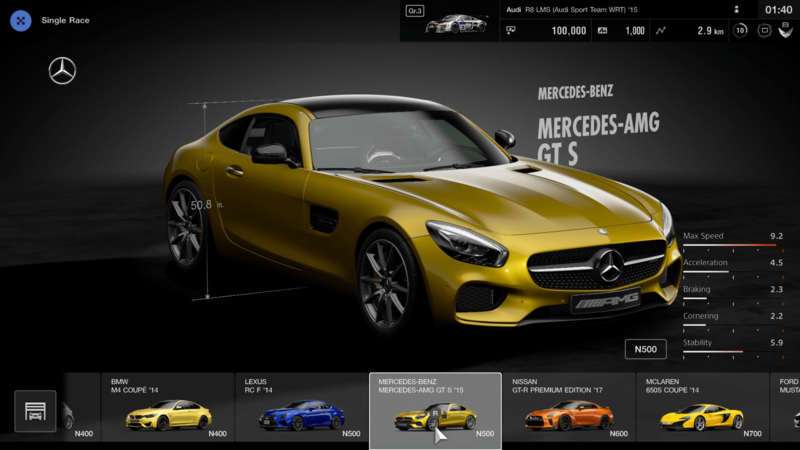 Forza may lack the accuracy and attention to detail of Gran Turismo, but it has more cars. Gran Turismo Sport has only (!) 162 cars (which all look gorgeous), but Forza 7 has over 700. We didn’t care though, because we could drive them in glorious VR. While I lack the said headset, trying it out at a store with GT Sport showcased what an immersive buzz it is. Looking about the car also shows off the detailed interiors in startling detail. Sony VR, you’re a great way to drive. GT Sport has copped stick from some reviewers because of its steep learning curve. My guess is that many of these reviewers live with their parents. They’ve never had to work hard for anything, so this must be bit of a shock to these delicate petals. With GT Sports you don’t have your mum holding your hand. You’ve got to put in the time and work hard to earn success. Practice, patience and grit apply here. In short, prepare to spend time learning a track. It takes time to get a feel for the unique quirks of the ride you’re currently hurtling around the racetrack in. The sheer variety of racing on offer compounds complexity. Settings range from easy (but monotonous) oval tracks to tough (but fun) rally-style dirt tracks. Car handling differs in each setting. 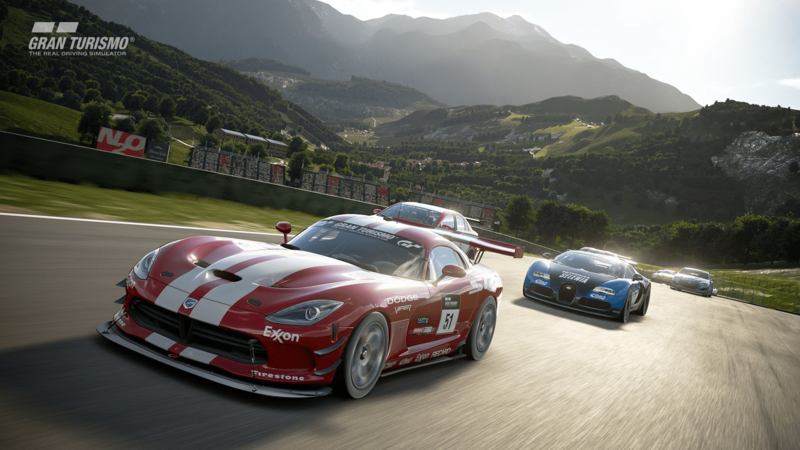 This helps give GT Sport one thing so many other racer games lack – long term playability. Perseverance does get rewarded. Learning basic driving tasks such as braking without sliding off a corner will help you win. Winning also means access to more cars, upgrades and more tracks. Frustrating, yes. Addictive, definitely! The game’s adherence to realism could make playing a real chore, but the monotony is well-paced, in-game graphics sparkle, and car handling feels realistic. I sometimes found myself frustrated, but more often than not I had a blast. If you want depth and a real challenge that’ll have you coming back for more, GT Sport is what you need.